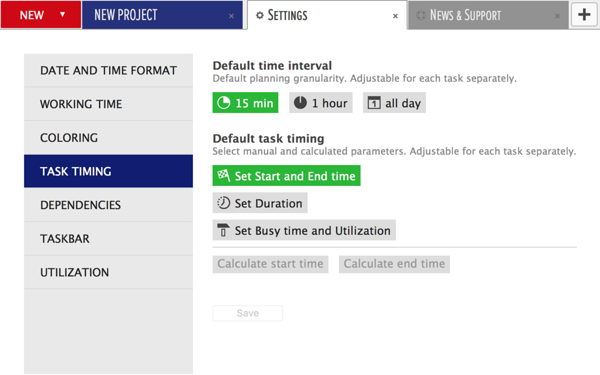 Since we introduced our new task timing options which allow you to choose the accuracy you want to plan your tasks with they have been on the lookout for a bigger place to settle down. As a new family, there have been struggles. And of course, there are the usual questions that a new family looking for a new home has to answer. Is there a place in our planner where there’s enough room for everyone? Should they keep their old place or rent it out? Can they afford to manage both places? That's all this post is going to be about - finding a new home for them. Our new family had to start from deciding whether or not they can afford to keep their current place once they found a new one. Is there an actual need for them to have two places? Shouldn’t it be enough that you can choose how you want your tasks to be timed once and then that’s it? Well, after talking it over, we felt like you should still be able to visit task timing settings in the task dialog, too. That way you can choose default settings from where-ever they decide to move, and then adjust the setting for each individual task if there’s a need for that. 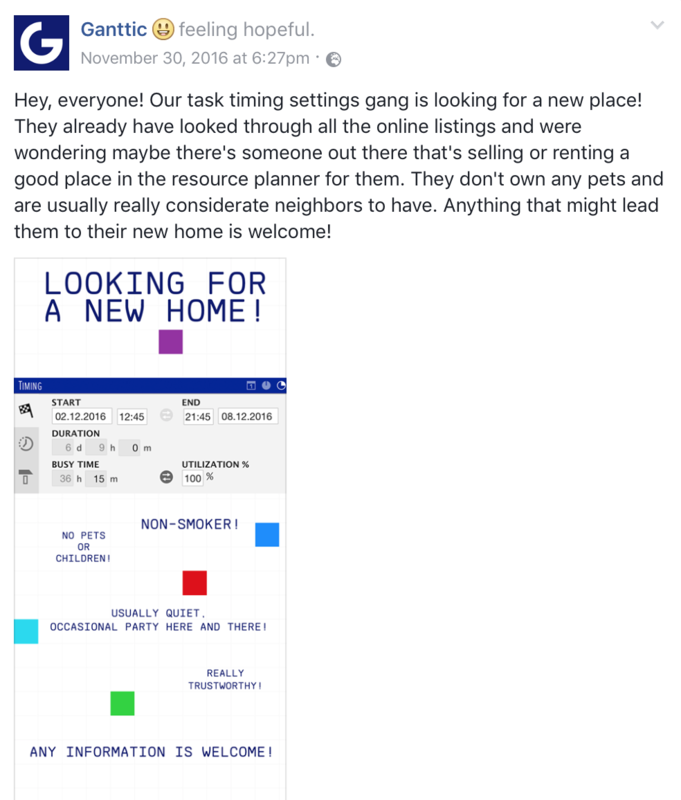 Like everybody else, our task timing setting started scanning all the online listing for available places to live. That lead them to only one opening - next to custom data fields in the project dialog. It sounded a bit off from the beginning but they still decided to take a look at it. It couldn’t hurt, right? They tried it out, and well. It just felt wrong. 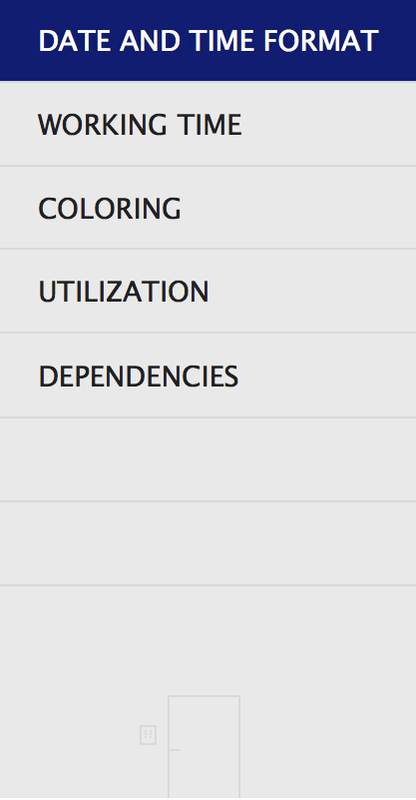 Project dialog just can’t be the best place for task settings. So they continued to search for their new home. Since online real estate listings didn’t take them to anywhere promising, they decided to try out the power of social media. That’s where they got lucky. One of Ganttic’s followers knew that there’s a construction of a new apartment building going on in the settings section. That got the word going around and when Information Displayed on Taskbar heard about that, they decided to come with Task Timing Setting to check the new place out. When they got there they found out that all of Ganttic’s resource planning settings had a really fancy new building. All of them were nicely stacked up for making it easier for you to find exactly what you need. They just needed to try out how it would feel if they settled down there. And it felt so good that the decision was made instantaneously. Taskbar Information agreed and decided to leave their current place behind altogether. 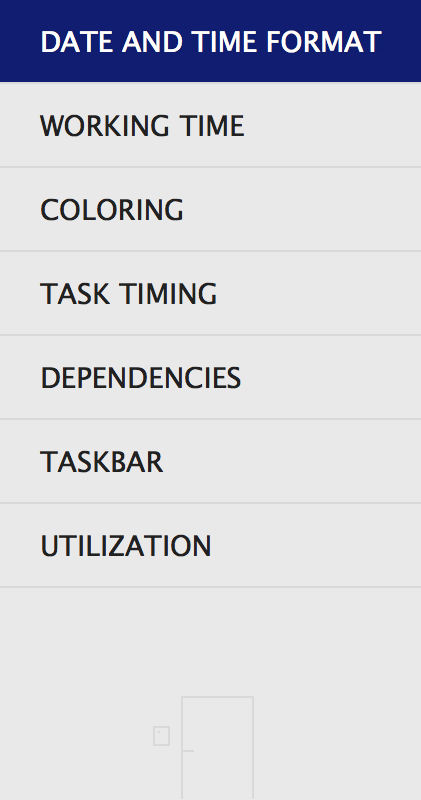 To sum it up, you can now choose default task timing settings from planner’s general settings tab. 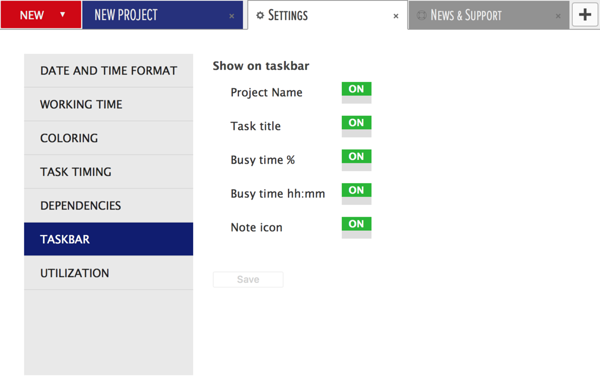 You can still adjust the settings from task dialog for each task separately. What’s displayed on the taskbars is now adjustable only from the settings tab. Go check it out, and tell us what you think!